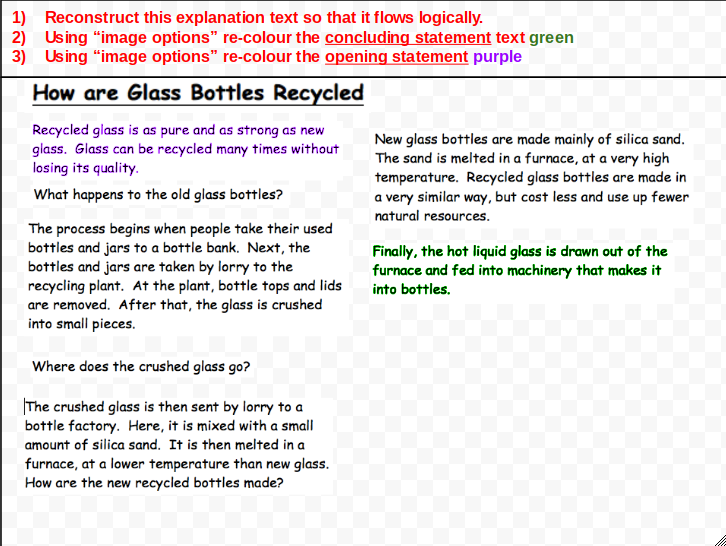 Task : Our Task was to Reconstruct this explanation text so that it flows logically. Meaning we had to reorder the statements so the explanations flows logically. But before we could start reconstruction, we had to find know what an explanation is. This is what I found out : An Explanation text is a piece of text that generally tells your Reader - how/why something happens or works. After we knew what an explanation text, we needed to know the structure. The Structure of an explanation goes like this - Introduction, Sequenced Paragraphs and Conclusion. If you don't know what A Sequenced Paragraphs means : It means a Series of Events Paragraphs. 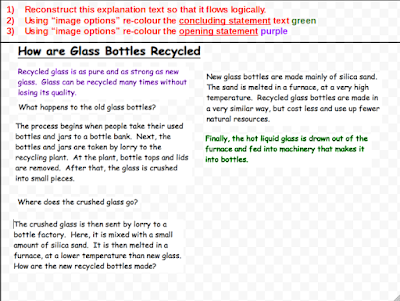 Kia Ora Alisha, you have a good understanding of what an Explanation text is and is basic structure. I look forward to reading an original Explanation texts. Why People need to drink Water ? Why We need to wear Hats at School ?